QUESTION: Mr. Armstrong; You were a key player in Britain and the euro. That is well-known in private circles here in the UK. You were friends with Thatcher’s personal economic advisor Sir Alan Walters. I believe John Major’s government called you in September 1992 when Major was forced to float the pound as Thatcher had wanted all along. Can you shed any light on those events since you were there and the future for Britain? It might be enlightening if you came out and stated what really happened. I had spoken to Sir Alan at a lecture he gave and he said your computer was an amazing invention he believed countries should follow. He also said that Milton Friedman had first told Alan about you. What are your comments on that? ANSWER: Yes. I was there. Alan and Lady Thatcher were my friends as was Milton Friedman. However, I was unaware that Milton had told them about me. I suppose that makes sense when I think back, but we never spoke about who knew who and why, although we all knew each other. I did discuss with Alan and later Lady Thatcher that the free markets would govern and they were the weapon that destroyed Communism – not politics. How the idea of creating a euro would fail without a political union was the basic theme based upon history. The idea behind the Poll Tax was marketed wrong, but her idea was that if everyone paid something as a flat tax, then they would be that check and balance against runaway government. We drew upon the collapse of the Roman Republic for that very corruption was allowed to take place because the people were bought-off so to speak..
Unquestionably, the Euro experiment is a total disaster for Europe for it was deliberately designed for political-ends not based upon economic soundness. It will be the self-interest of government that destroys it. Just look at Brussels. The design of the Euro was faulty and they knew it from the start creating a monetary union preaching savings on foreign exchange while hiding the agenda to federalize Europe. The elite politicians just needed to sell the idea and swear it was not some federalist agenda. Margaret Thatcher tried to fight against that agenda within her own cabinet. I was there and had intimate conversations about this with her. It was after the 1987 election, when Thatcher became much more an isolated figure within government fighting with members in her own cabinet who wanted to join the Euro as a new Bretton Woods. There was some New World Order in the creation of the Euro that one government would eliminate war. However, I would say the majority in the UK who wanted to join the Euro were trying to recreate Bretton Woods’ fixed rate regime that began with the ERM that also collapsed. Thatcher’s “The Bruges Speech” delivered September 20th, 1988 will always be remembered. She stated bluntly: “I want to start by disposing of some myths about my country, Britain, and its relationship with Europe and to do that, I must say something about the identity of Europe itself. … Europe is not the creation of the Treaty of Rome. 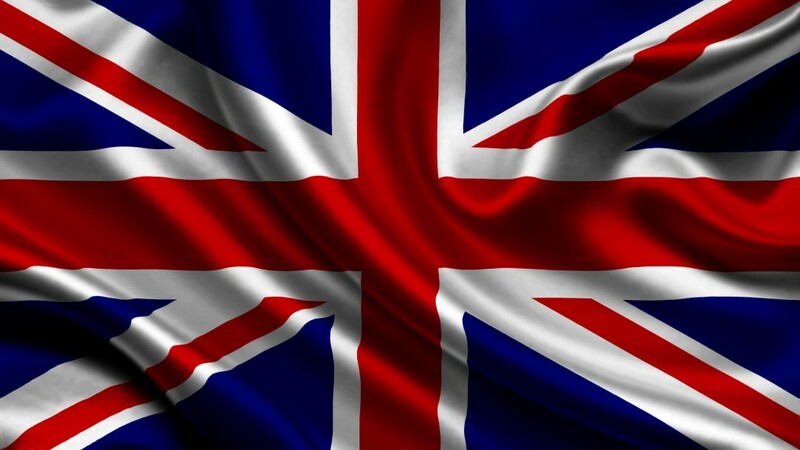 … Nor is the European idea the property of any group or institution.” Thatcher clearly saw the motivation behind the Euro that this was the federalization of Europe – not simply a monetary union. 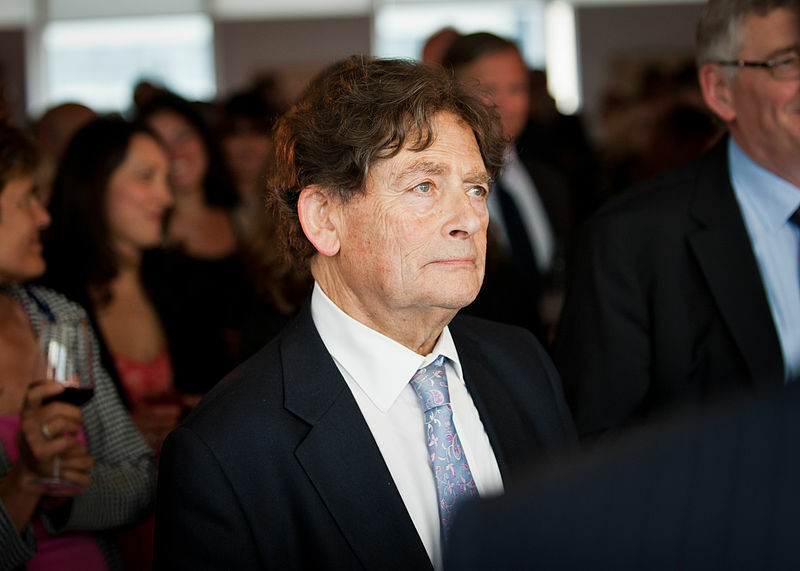 Nigel Lawson was in her cabinet between 1981 to 1989. Lawson was in favor of privatization and contributed to Britain’s Big Bang. However, he was a closet Bretton Woods guy who felt strongly that currencies had to be fixed. He was not so much a goldbug, but wanted a fixed currency and that would be the ERM followed by the end goal – the Euro. The issue of exchange-rate mechanism membership continued to fester between Lawson and Thatcher and was exacerbated by the re-employment by Thatcher of Sir Alan Walters as personal economic advisor who was my personal friend. Lawson’s conduct of policy had become a struggle to maintain credibility once the August 1988 trade deficit revealed the strength of the expansion of domestic demand. As orthodox monetarists, Lawson and Thatcher agreed to a steady rise in interest rates to restrain demand, but this had the effect of inflating the headline inflation figure. Yes, I explained how raising interest rates would attract foreign capital. After all, I myself was standing in line buying assets in Britain when the pound fell to $1.03 in 1985. Lawson’s fixing of the pound within the ERM is what led to the collapse of the pound. 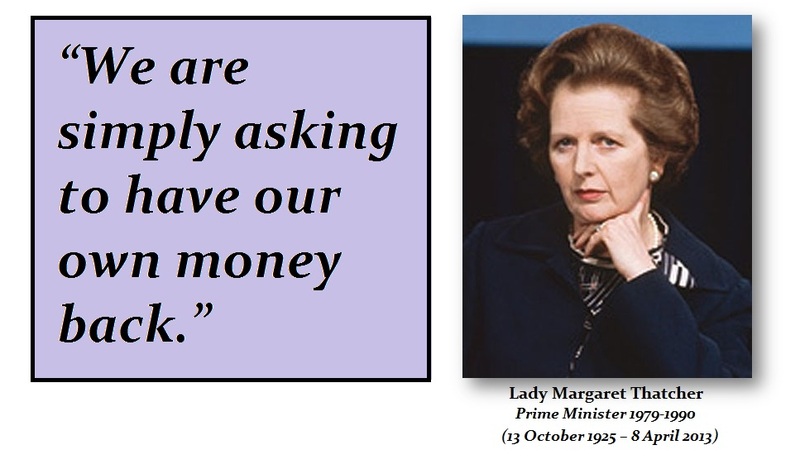 This was the clash with Thatcher for Lawson favored the idea of the Euro that would be a fixed rate currency system – a sort of rebirth of the Bretton Woods idea. The clash between Lawson and Thatcher, who was dead against the fixed rate idea of the Euro that would become the federalization of Europe, led to his resignation. 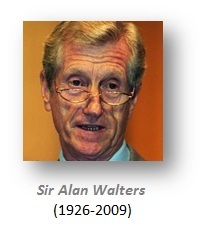 Alan Walters continued to favor a floating exchange rate and we had many discussions at the time. Lawson was succeeded in the office of Chancellor by John Major. 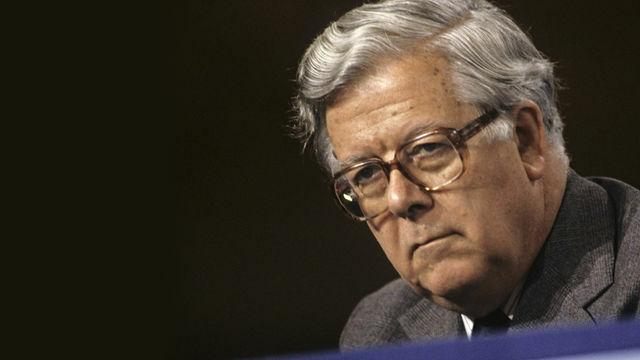 The other key cabinet member who clashed with Thatcher also over the Euro was Geoffrey Howe. He masterminded the development of new economic policies embodied in an Opposition mini-manifesto. In June 1989, Howe and Nigel Lawson, secretly threatened to both resign over Thatcher’s opposition to British membership in the exchange rate mechanism of the European Monetary System. Both Howe and Lawson were sold on the ERM and the coming idea of the Euro. In the last weekend of October 1990, Lady Thatcher traveled to a European summit in Rome, where Jacques Delors’ dream of European Monetary Union was high on the agenda. But while Mrs Thatcher was fighting her lone battle against the prospective single currency abroad, she was being fatally undermined at home. Geoffrey Howe, her bitterest cabinet critic, went on television to tell the interviewer Brian Walden that in principle Britain did not oppose the Euro. Upon Thatcher’s return, she delivered her Commons statement where she was forced to slap Howe down publicly stating: “this government believes in the pound sterling.” Howe resigned, and days later delivered the famous speech from the back benches that set in motion a leadership contest. Howe and Lawson would have destroyed the British economy had they joined the Euro. 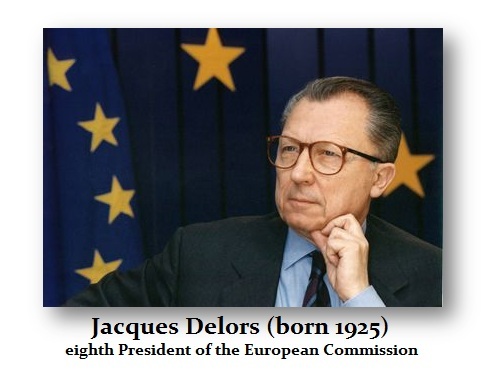 To Delors, the private discussion I had seemed to believe that he was more trying to defeat the USA than creating a New World Order. He was fixated that joining all the countries together they would have a bigger GDP than the USA and therefore the Euro would displace the dollar. It was a power struggle arising from pride for many in France. The committee from the EU came to me about the design. So I am not making something up from my imagination. The Asian Currency Crisis in 1997 was sparked by the shift in capital flows to buy into the Euro that was going to kill the dollar. The Bank of China called me in because I said this was the shift that set everything in motion. They agreed and asked me to speak up louder because politically they could not blame the Euro. The Bank of China has come out stating they now use our Capital Flow Analysis. I do not offer opinions. What I report is based upon fact and observation, not what I think is going on. Brussels will defend the Euro because that is all they have. Lose the Euro and what happens? Tens of thousands of bureaucrats are out of a job. They were hiring 20,000 just to regulate the banks. As one reader points out, the EU Commission is regulating everything – even seeds. So yes. When the attack upon the ERM and the pound in 1992 took place, I received calls from the British government asking what our models had to say. I warned the pound could not be held. I advised that the pound should be devalued. I was told that John Major had promised the pound would not be devalued. I then provided a “politically correct” way to do it – allow the pound to float to seek its own level. Hence, there was no DEVALUATION, it was the free markets that did the heavy lifting.